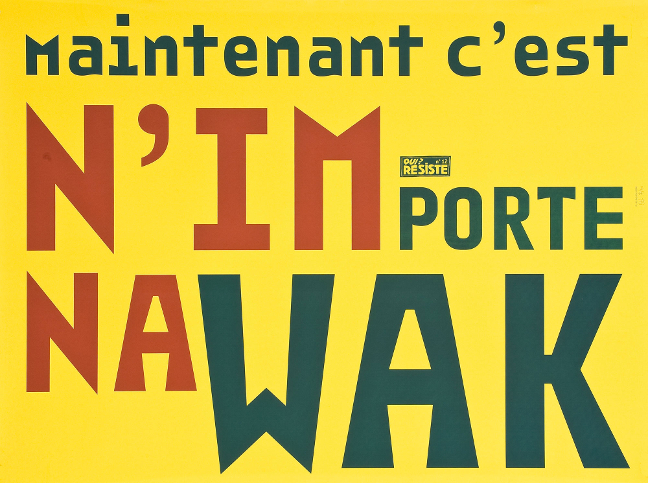 The Musée des Arts Décoratifs has one of the most comprehensive and oldest graphic design col-lections in France. Yet since 2009 and the Antoine + Manuel exhibition, the collection has been primarily enhanced with works donated by the designers themselves. More than seven hundred new items join the collection each year. These recent additions have enabled us to make a selection of three hundred works painting a portrait of graphic universes as widely differing as those of Frédéric Teschner, Pierre di Sciullo, Les Graphiquants, Jocelyn Cottencin, M/M (Paris), deValence, Fanette Mellier, Change is good, Irma Boom, H5 and Yorgo Tloupas. 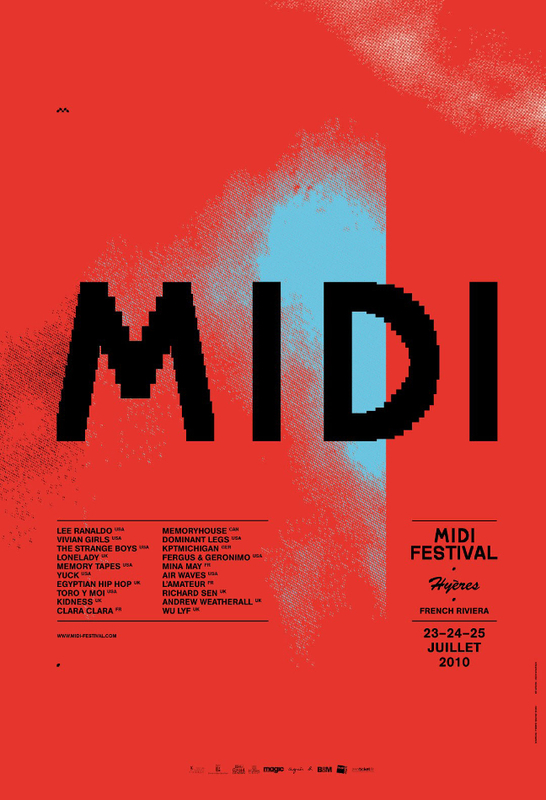 They give an idea of the diversity of the fields in which graphic design plays such a key role and show how experimentation and hybridization are always responses to the constraints imposed by the client. 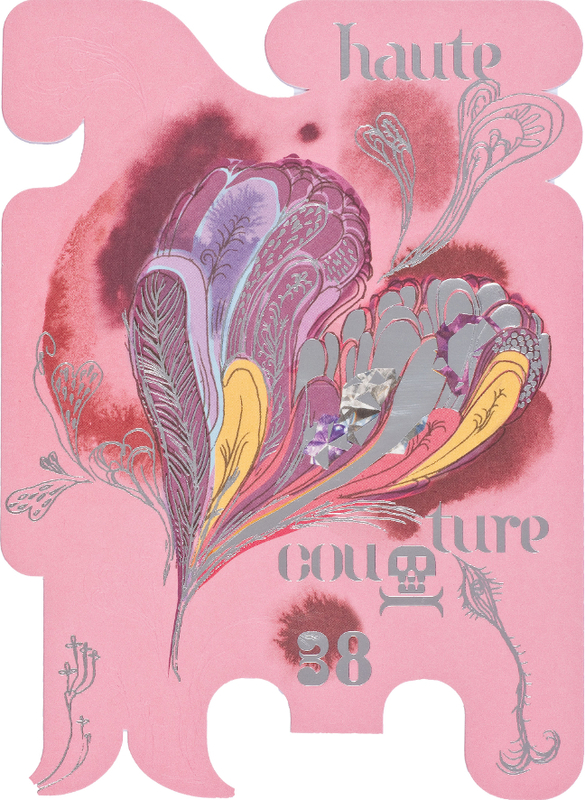 The exhibition focuses on nine themes illustrating graphic design’s different fields of application: The performing arts and particularly the theatre, both forcing graphic designers to reflect on narration, dance and contemporary art with their more conceptual codes, and also music and fashion, self-production, books, typography and visual identity. These typologies show the evolution of a discipline and profession, its clients and mediums. The exhibition begins with a tribute to the late Frédéric Teschner. Teschner regarded his work as a space for encounters and collaborations with institutions, small structures and artists. He saw his role in this as a translator or intermediary between the client and the public. 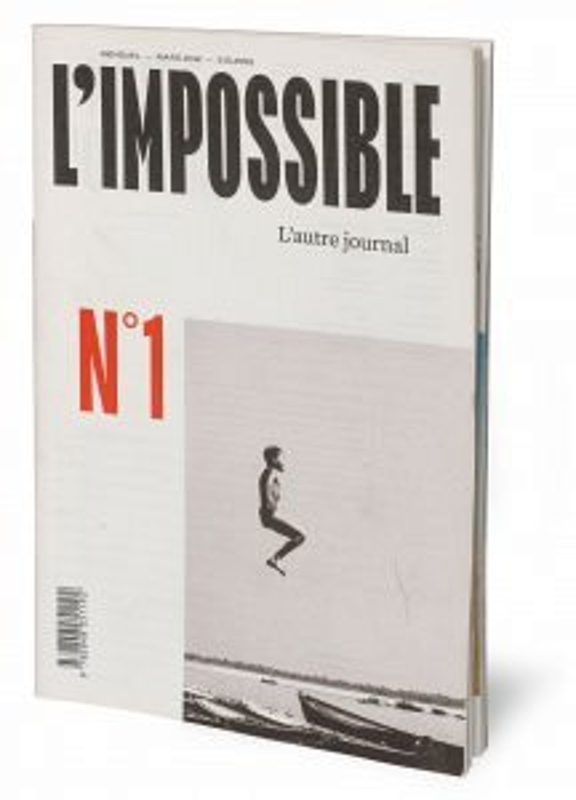 Frédéric Teschner forged a graphic vocabulary and an innovative stylistic palette directly in gear with the Internet “revolution” experienced by his generation. He was less interested in the tool than in what it can do to renew our relationship with the image, in terms of its dissemination, hierarchical organisation, use and even deterioration. He made the enlarged pixel the basis of his graphic language, exaggerating its size to make it a pictorial element. 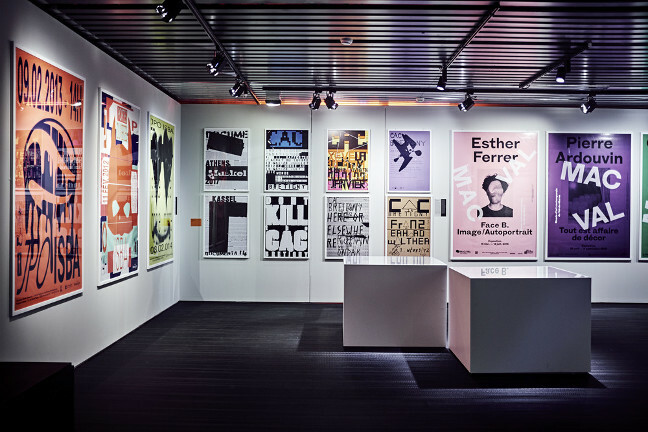 By taking one commission as an example of each designer’s work, the exhibition shows the richness and diversity of graphic design today (posters, flyers, brochures, stationery, objects, books and disc sleeves), emphasising its cultural, intellectual and aesthetic challenges in a world invaded by images and signs. 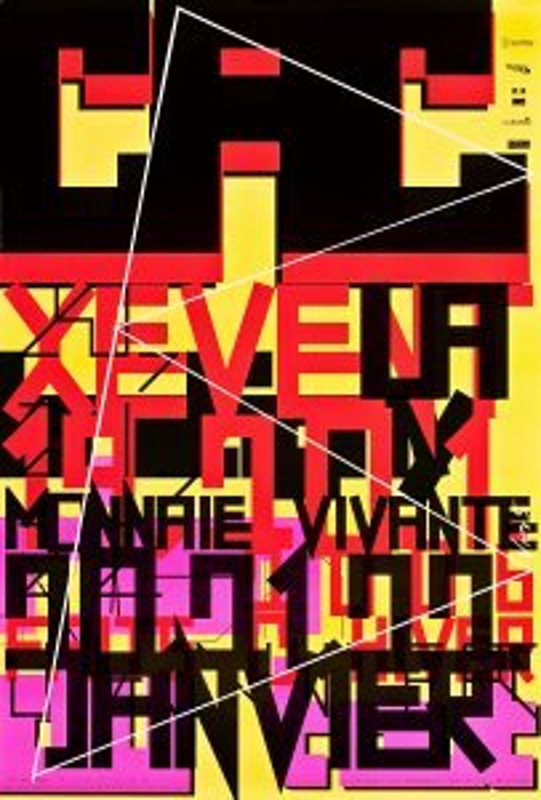 For each poster, these two graphic designers adapted the rules of classical tragedy: unity of time, place and action. Each poster is constructed around a colour photograph and a high-contrast black and white title. The image, apparently a documentary picture of everyday life, was chosen after attentive reading of the play and conversations with the theatre’s director, Eric Vignier. 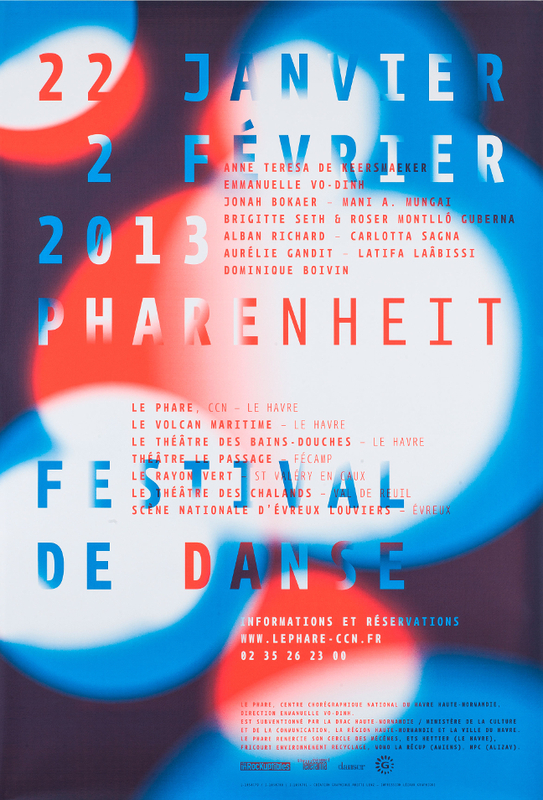 To conceive Le Phare’s visual identity, Anette Lenz took the centre’s name and its mission to promote culture as her starting points. The centre’s communication documents transpose two elements, light and radiance, using luminously coloured halos like beams to illuminate the name of the centre and the event. In response to the newspaper’s multiplicity of writers and points of view, Julie Rousset created a “sensation of overflowing” with a page layout doing away with margins, jumbled, framed and reframed content and displaced imagery to convey the idea of proliferation, even hubbub. 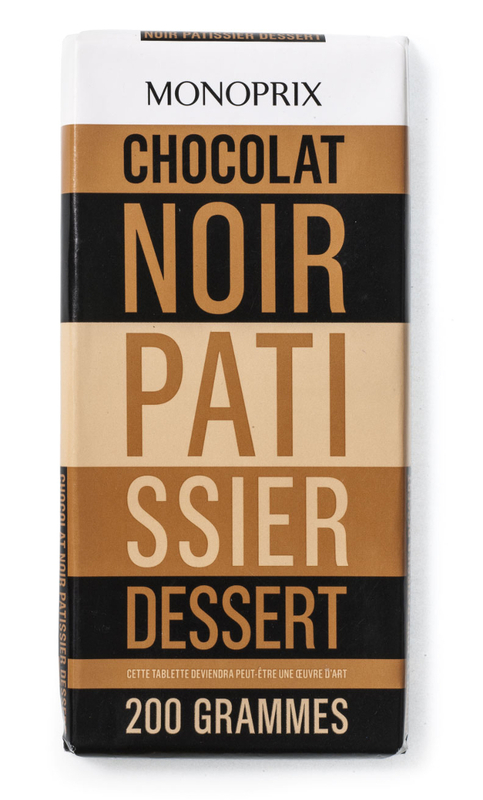 Cléo Charuet’s idea for redesigning Monoprix’s product packaging was simple: breaking imposed rules by exploiting the obligatory text on packaging as a graphic element in its own right. She decided to no longer privilege imagery on packaging since other brands already provide this visual information on the shelves, and to use new complementary and dissonant colour codes to distinguish them. Typography and colour thus become the only key brand signs for some two thousand products ranging from food, hygiene and beauty to home and interior decoration. Vier5’s particular conception of their work presupposes full commitment on the client’s part. 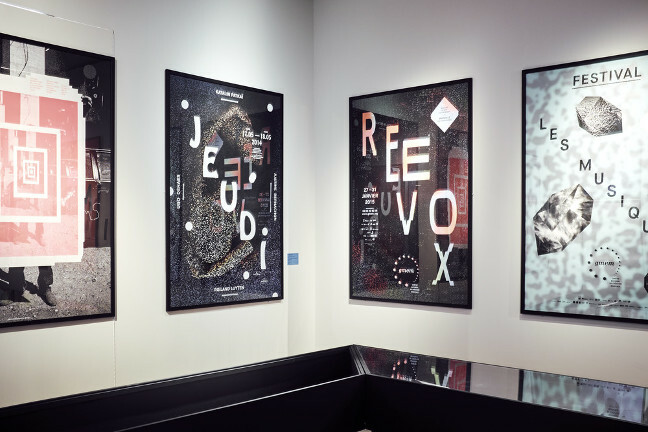 Pierre Bal-Blanc, director of the CAC Brétigny, regards the work of graphic designers as an integral part of the centre’s artistic programme. He allows them complete freedom to periodically reinvent the centre’s visual identity. The logo is constantly renewed in function of the project and the artists exhibiting, so that each event has its own graphic language. 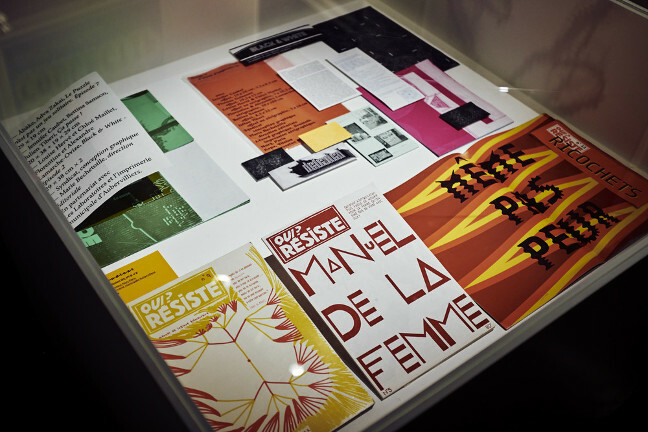 Thus each graphic object is a specific response, a singular combination of signs adapted to the client, and because these responses are also motivated by cultural, social and urban considerations, all the projects shown in the exhibition are accompanied by texts giving a fuller understanding of the designer’s artistic response.